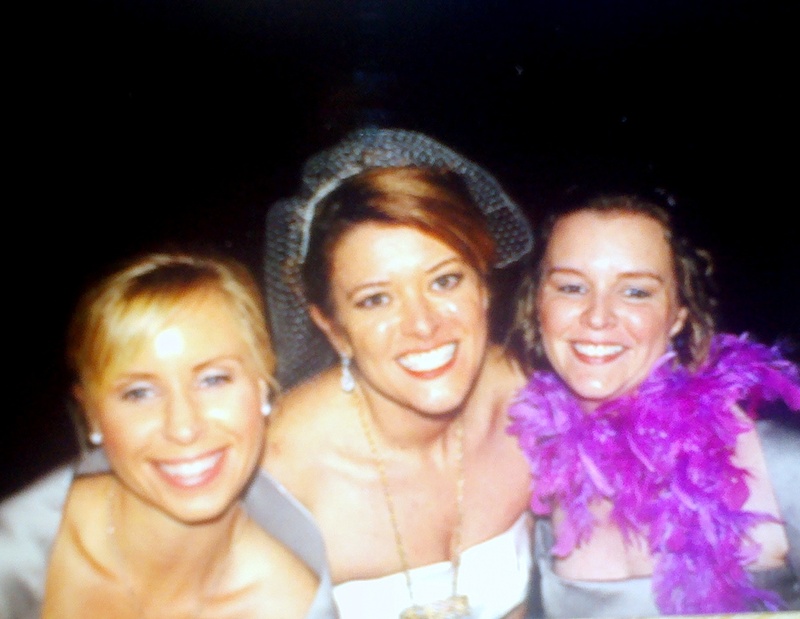 I took a few days off last week to go to my sister's wedding. It was fairly mandatory I was these since I was in it :). She was beautiful and it was beautiful and I'm so glad I could share it with her. So, consequently I'm sorry I didn't get any posts lined up for the last few days. I'm still here though! So...who going to say it? 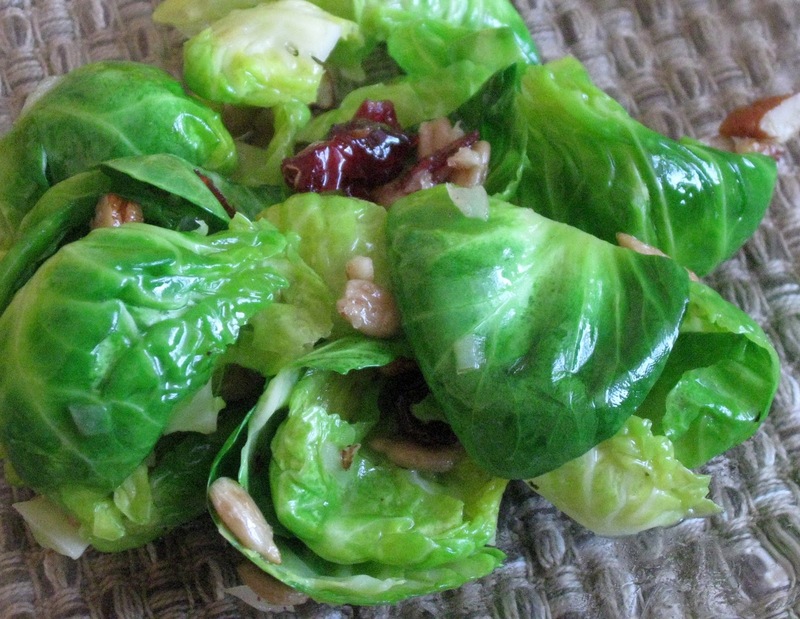 Brussels sprouts are not delicious. They are a love/hate vegetable with a strong flavor. I have never liked them my whole life. But you know what? I think I wasn't trying them in the right recipes...This, may be the right recipe because these were really good! My husband loves brussels sprouts and apparently, so does my son. He likes to eat the raw leaves though, I'm not that brave. We rarely have them because I avoid them like they are going to burn me. But, I saw this recipe over on Kiss My Spatula and was intrigued. I'm pretty sure that anything with caramelized nuts is good, within reason. I decided to try this recipe and aside from the time it takes to separate the leaves it really didn't take that long. 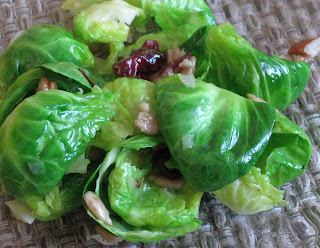 One of the reasons I liked this recipe was because it was the whole brussels sprouts and they were taken apart into just the leaves, then you add in candied nuts and cranberries! Who doesn't like candied nuts and cranberries, except maybe people with a nut allergy, I get that. But everyone else? Nuts covered in sugar are awesome (even mixed with brussels sprout leaves)! 1. Mix the nuts, seeds, and cranberries in a skillet over medium-low heat until they are fragrant and lightly toasted. Watch carefully so that they do not burn! Add ½ tablespoon butter (1 ½ teaspoons), 1 ½ teaspoons brown sugar, and salt, stirring to coat. Stirring occasionally, continue to toast the mixture until it is lightly caramelized. Remove from heat and spread on a plate or pan to cool. Set aside. 2. Using a paring knife, cut off the stem ends of the sprouts. Using the knife, peel the leaves from the stems of the brussels sprout while working in a circular motion. You can save the small stem left in the middle for cooking later or discard it. 3. Heat a large saute pan over medium high heat, and add the remaining butter and oil. 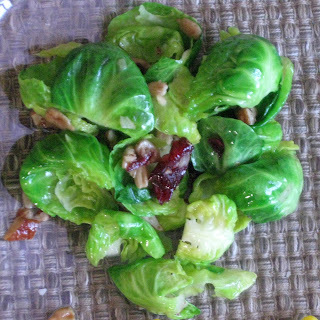 Saute the onions for about 1 minute then add the brussels sprout leaves. Saute the leaves until they are lightly caramelized and cooked through. Do not overcook them. Season with salt and pepper, if desired. The leaves should be softened and sweet. 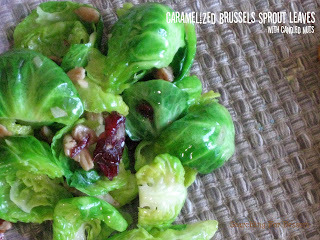 I love brussel sprouts! That recipe looks so good! will have to try.